When I was kid summer meant 2 things: Sunny Hill and The Shore. The Shore is different places to different people but around here it must be reached by way of the Garden State Parkway. We never did the boardwalk vacations of Seaside Heights or Wildwood. Our family preferred the calm that is Long Beach Island. I can remember the routine of spending the days on the beach and our nights at various activities on the island. While some of the places from my childhood still exist like The Show Place and Bay Village, others only live in my memories like the Tumble Town and Pier 18 Mall. My kids got to experience some of the places I loved last year. I had an LBI first with my kids: dolphins jumping off the coast. The Beach: There are so many things you can do from hunting for seashells, digging for sand crabs, riding waves on a raft and more. Bring you sunscreen, your lunch, drinks, and something to dig with. Be sure to swim between the flags for safety. Marvel Market: As a child this market was walking distance from the beach house we rented. Ever morning my father would send me to get the newspaper and a dozen donuts. These are just not any donuts, but hot, freshly made in front of your eyes donuts. I would love watching the machine drop the dough as the donut floated around while it cooked. Old school LBI people, this market is now across the street from where it used to be. Crust and Crumb Bakery: ELEPHANT EARS! Really, there is nothing else to say. A delicious pastry that is “the size of your head” can be found in this bakery located in Bay Village. 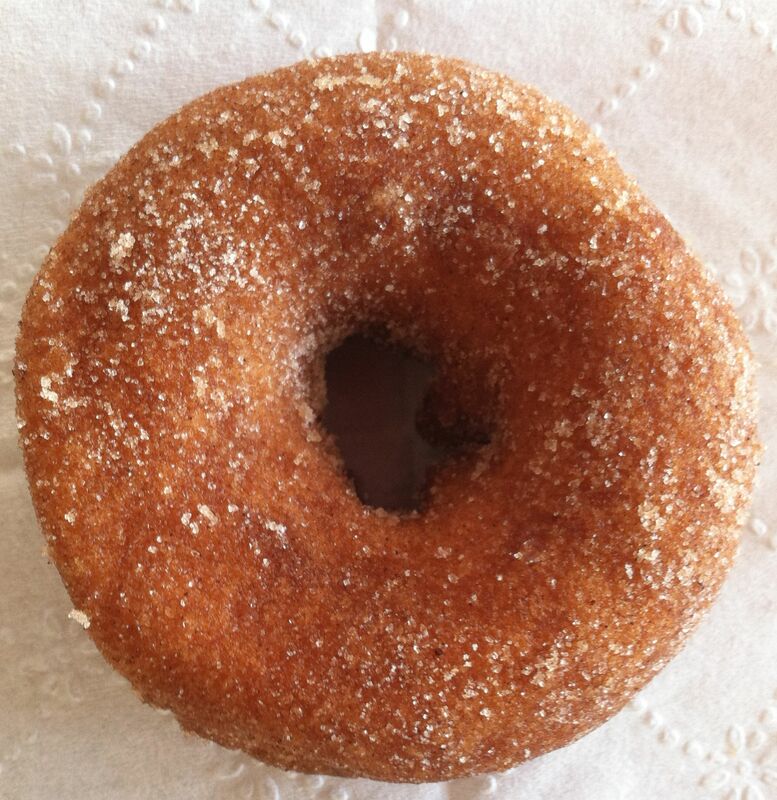 It is cinnamon, sweet, buttery yumminess. 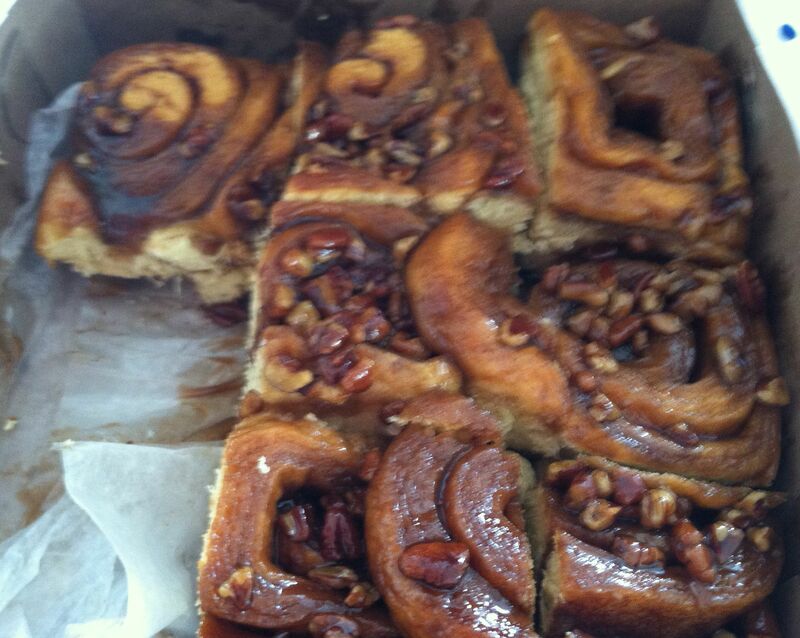 Fine, there are other great pastries here like the sticky buns. The Show Place: Ice-Cream and a show! This is one of my favorite places anywhere in the world. You arrive to the staff dressed in old fashioned soda shop style. As you look over your menu, you hear a cowbell ring. A server holding a sundae shouts: “Ladies and Gentlemen, in my hands I hold….” Suddenly, the person who ordered the sundae is singing for their ice-cream. Skyler got to sing for her Pop-Pop’s sundae, The Phantom of the Opera. All sundaes are related to Broadway Musicals. After all the ice-cream is served, the server put on a show and then it is time to “eat up, pay up, and get out”. The only thing missing from our visit was the ice-cream flavor song….I can hear the chant in my head of “Peanut Butter, Peanut Butter, Peanut Butter”. 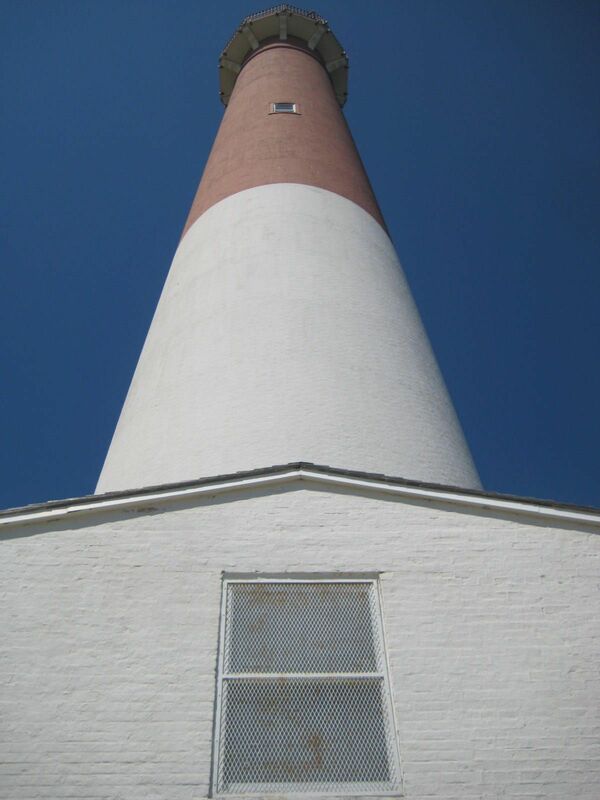 Barnegat Light House: Old Barney is located at the northern tip of Long Beach Island. For a $1 donation you can climb up the 217 steps to the top. My kids chose to do this. They received a certificate and a patch for making it to the top. 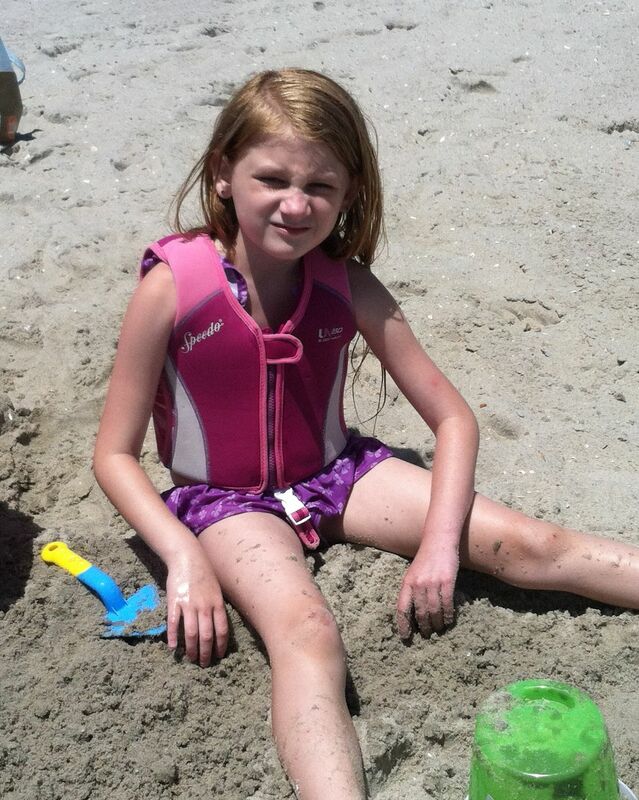 At the beach: Playing in the sand and ready to be safe in the ocean. 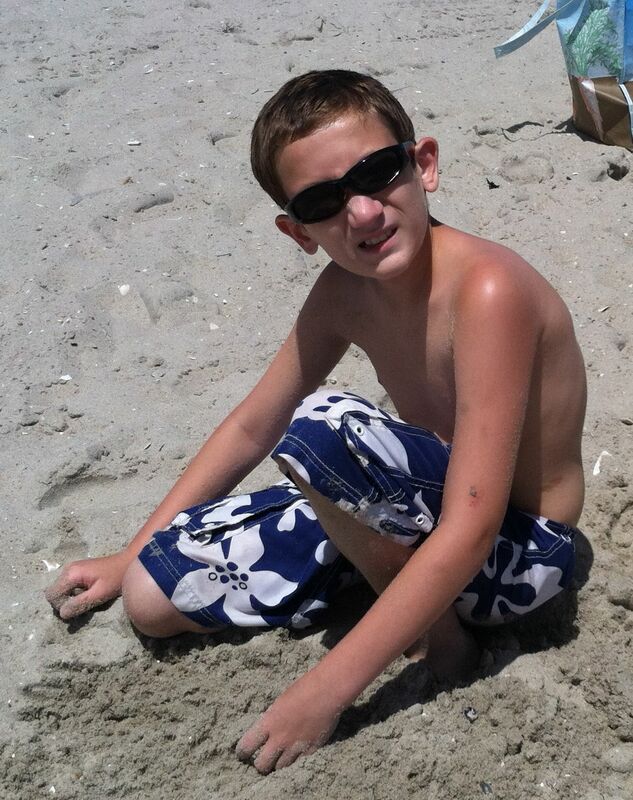 At the beach: Just chilling with my sunglasses. 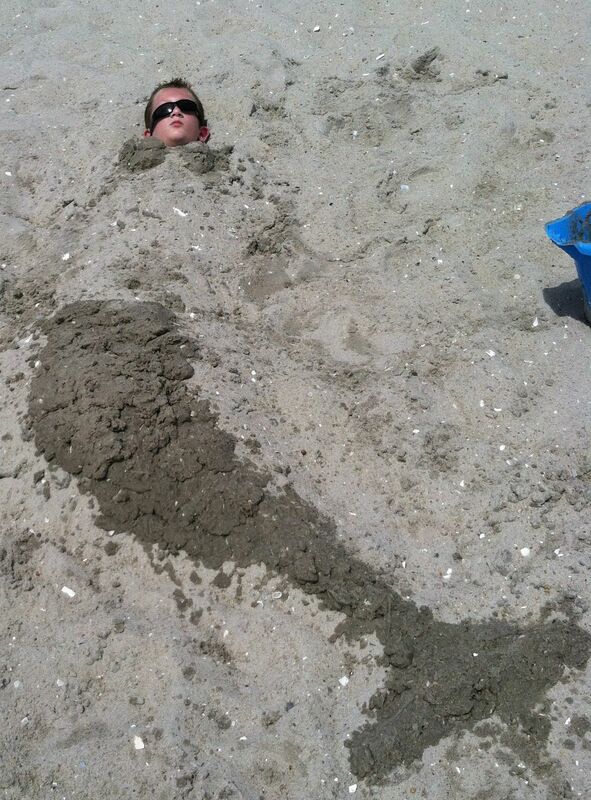 At the Beach: Cousin Jimmy turned him into a mermaid. 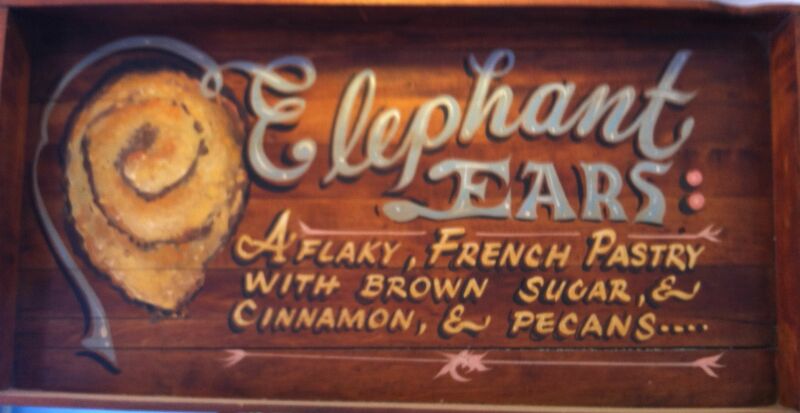 Crust and Crumb Bakery: Elephant Ears: A Flaky, French Pastry With Brown Sugar & Cinnamon, & Pecans…. Crust and Crumb Bakery: Elephant Ears. 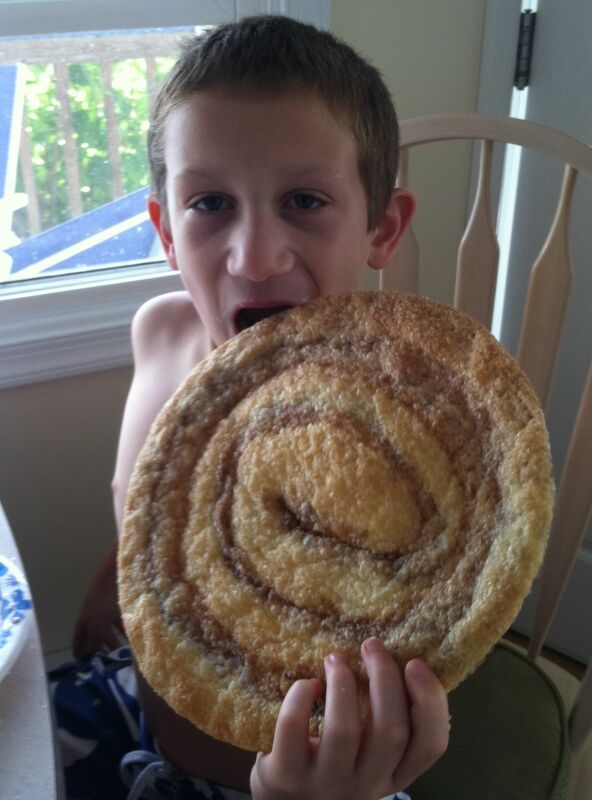 Yep, as big as your head. 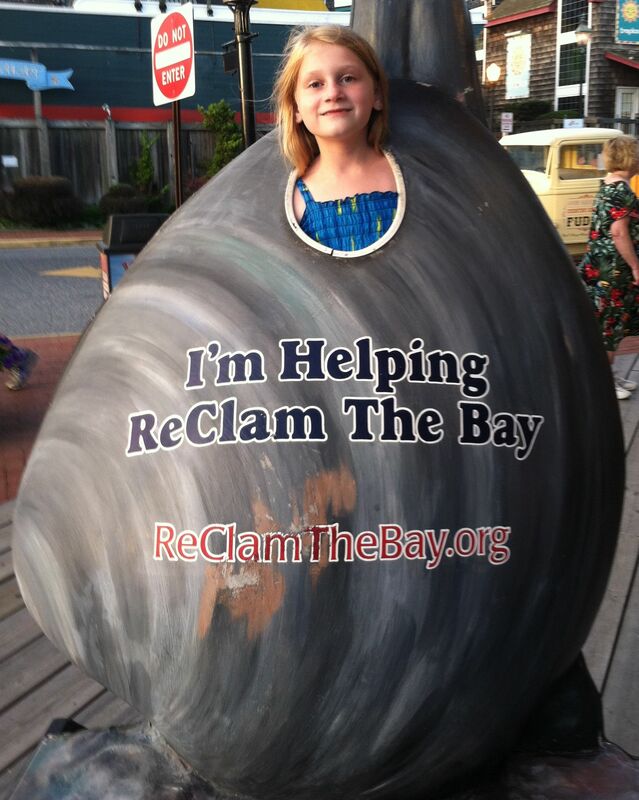 ReClam The Bay: These clams are in several places to promote seeding clams and oysters in the bay. 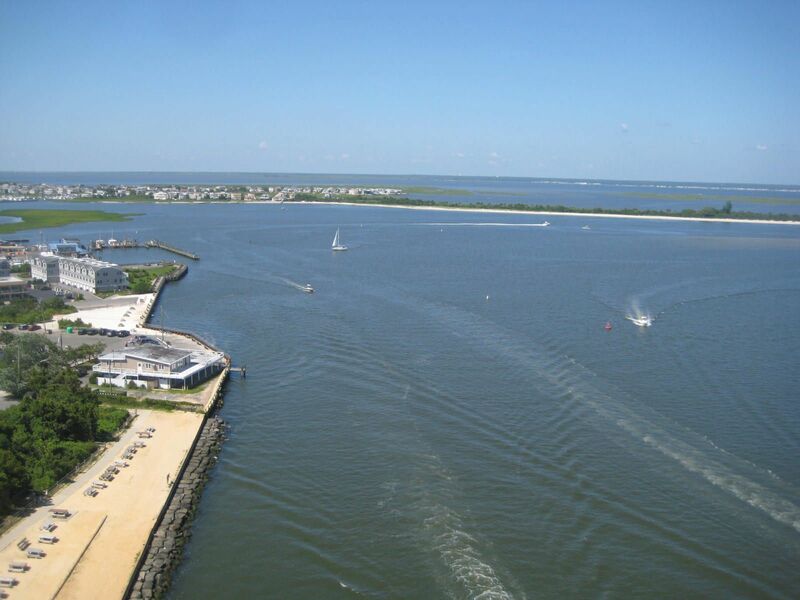 Barnegat Lighthouse: View from the top. Barnegat Lighthouse: View from the bottom up. 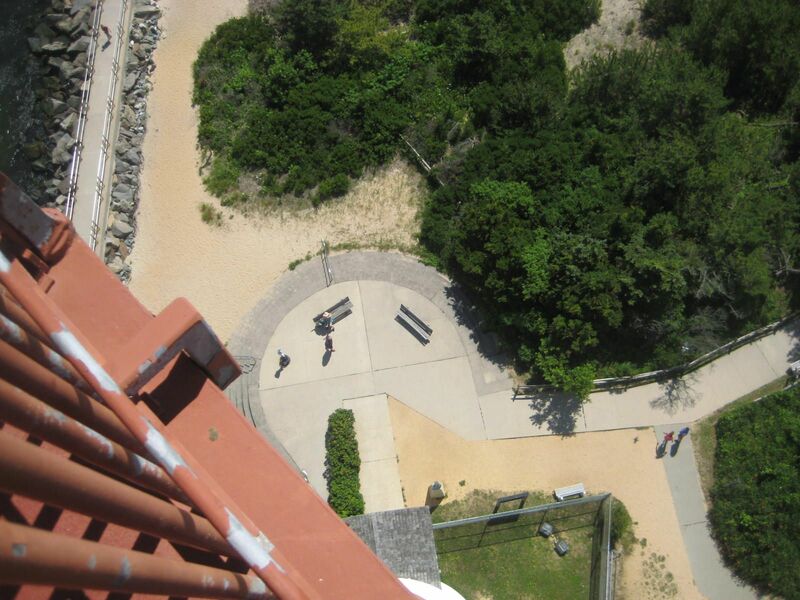 Barnegat Lighthouse: View from the top down.